Jürgen Vollmer | All You Need Is News! 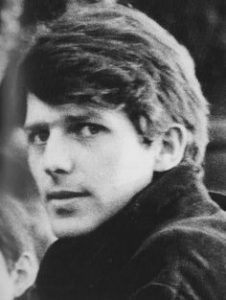 Jürgen Vollmer, with Astrid Kirchherr and Klaus Voormann (the “Exis“), befriended the Beatles during the band’s time in Hamburg in the early 1960s. The son of a professional army officer who died during World War II, Vollmer attended Hamburg’s Institute of Fashion at the time he met the Beatles, who at the time included drummer Pete Best and bassist Stu Sutcliffe. Vollmer quickly became one of the group’s photographers, and was responsible for some of their most iconic images in their leather-clad days prior to Brian Epstein. John Lennon was particularly impressed with Vollmer’s photos, and used one of his favourites on the cover of his 1975 album Rock ‘n’ Roll. During the time Vollmer lived in the US, he worked as a set photographer in several Hollywood film productions.